Schedule hourly appointments for seven days a week. Dates clearly stand out over each daily column. May be used as a refill for PlannerFolio mid-size weekly appointment book. Schedule hourly appointments for seven days a week. Space for evening appointments. Dates clearly stand out over each daily column. 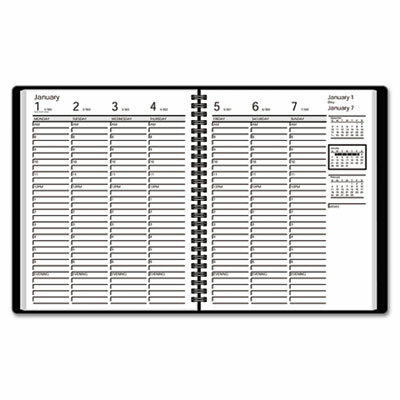 May be used as a refill for PlannerFolio mid-size weekly appointment book.